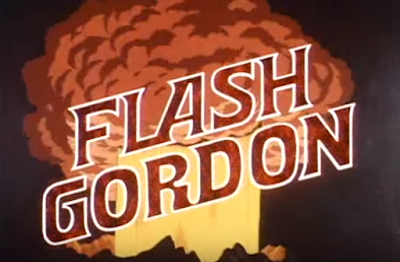 In the seventh chapter of the animated Filmation series Flash Gordon, Flash and his buddies Zarkov and Dale reach the shores of Arboria, but are quickly confronted there by a swarm of "Squirlons." 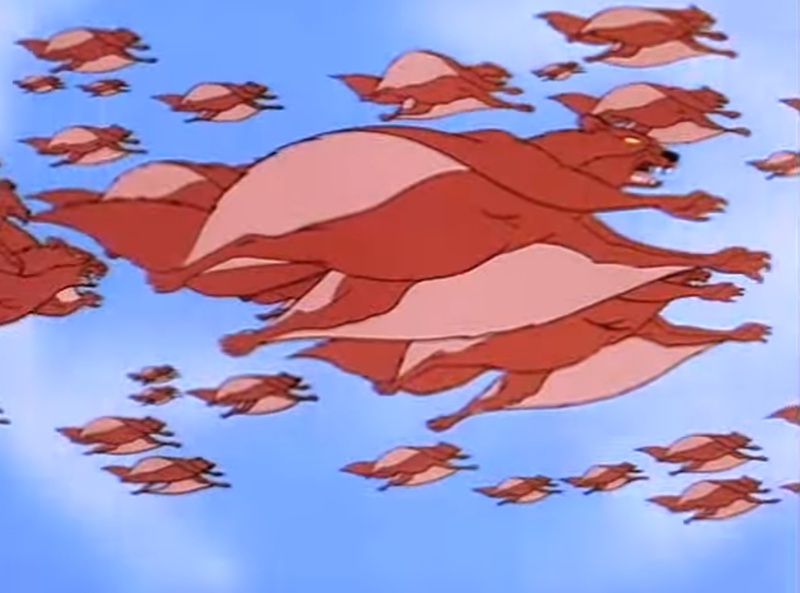 In case you're wondering, these rabid animals are literally flying squirrels, and they make pterodactyl noises as they swoop around the Mongo jungle. Of course, right after Zarkov notes that Squirlon bites are fatal, he gets bitten by one. The deadly bite soon begins to make him act in paranoid and irrational fashion. While Zarkov and Dale climb a tree to escape the flying squirrels, Flash attempts to dissuade the swarm from attacking...so he starts a forest fire. 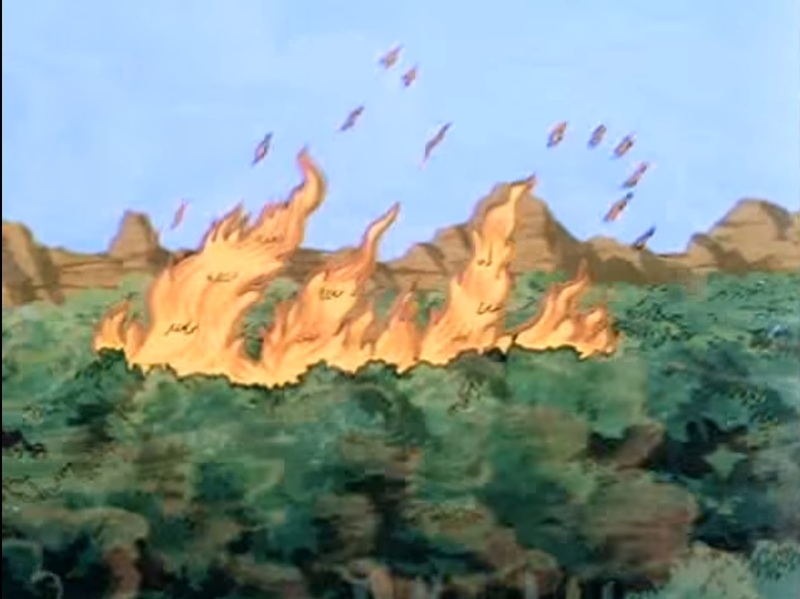 I question the wisdom of initiating a forest fire in a kingdom that is one huge forest, but no matter. The Squirlons are repelled. Soon, however, the fire burns out of control. 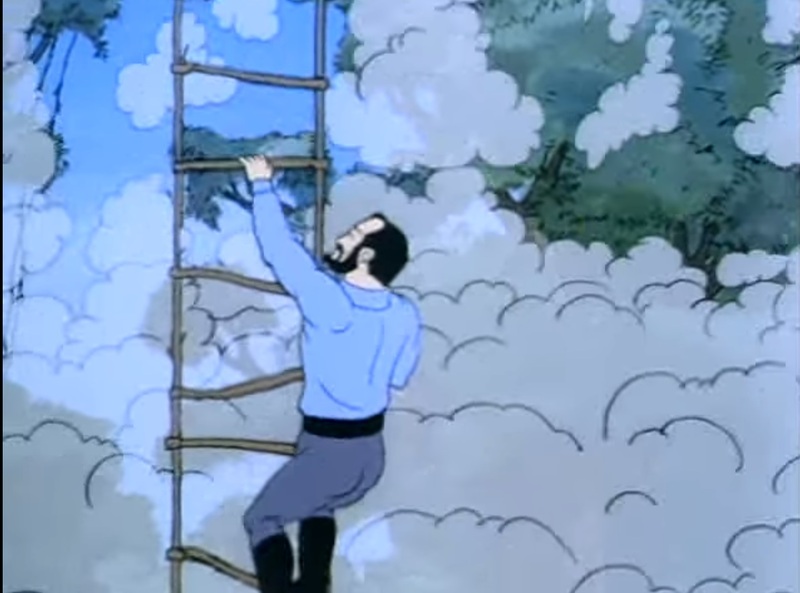 With the Squirlons gone, Flash must rescue Dale and the increasingly deranged Zarkov from the forest fire he just set. They're all given atimely assist by Vultan and his Hawkmen, who fly in and shoot Barin's "ice arrows" into the fire, squelching it. 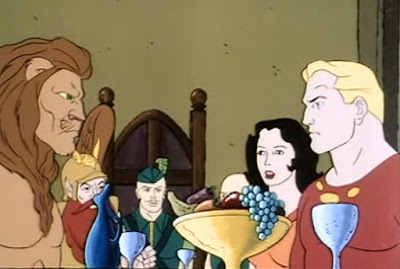 Now it's up to Flash and Dale (with the help of Barin and Thun) to cure Zarkov's fatal bite with a special Arborian root that grows only in deep caverns. 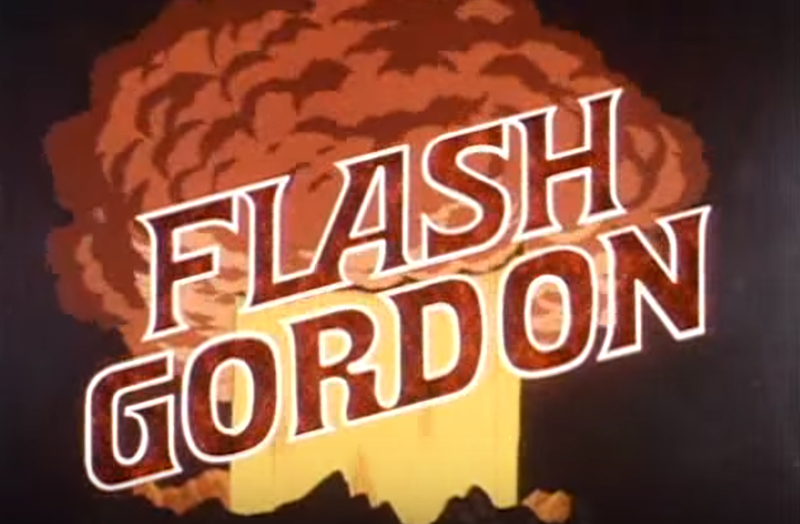 Chapter Seven of Flash Gordon culminates with Zarkov cured, and Dale, Flash, Thun, Vultan and Barin "teamed" up to take on Ming the Merciless...again. 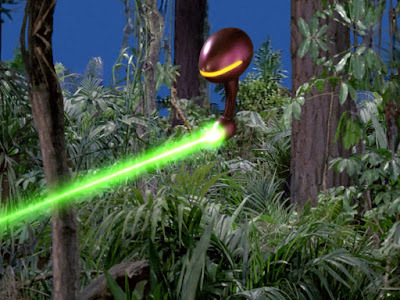 Meanwhile, they have a secret, not-quite-trustworthy ally in Princess Aura. Next week: "The Frozen World."